It’s two in the morning, and you are tossing and turning unable to fall asleep. 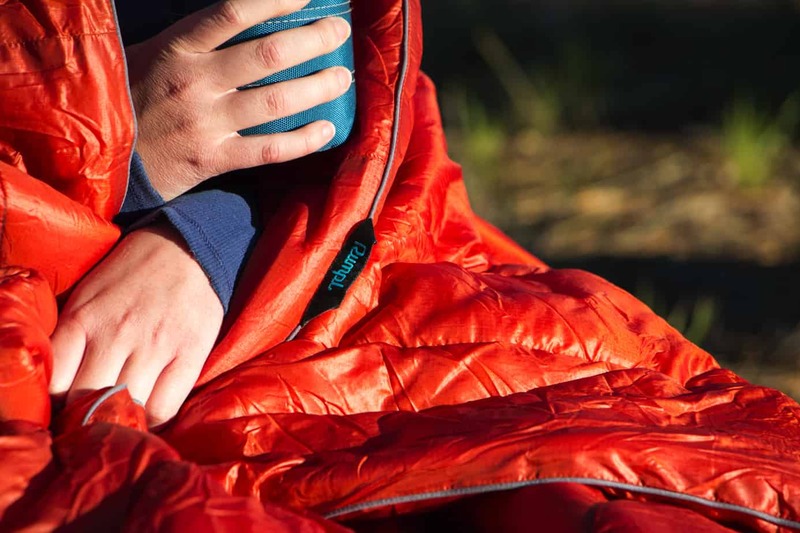 The once comfortable interior of your sleeping bag has now warmed up to what feels like 800 degrees of sweaty frustration, and the fabric sticks to you as you try to readjust. You awkwardly wiggle your arms up to the zipper and tug it open to let a fresh blast of cool air creep in. Ahhh better… time for some sleep. As you finally drift into a heavy dream, you roll over one last time and the sleeping bag slips off your back leaving you cold, exposed, and once again… awake. Crap. Sleeping bags are wonderful things. 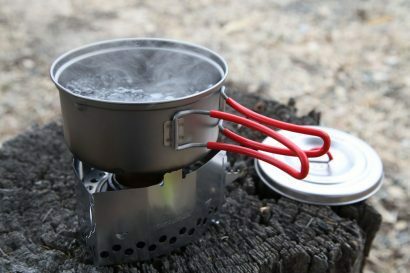 The simple yet ingenious invention has been keeping adventurous souls warm since the late 1800s, but there are some things that they just don’t do well. It’s hard to wrap one around you and walk out on a dock to watch the stars, difficult to hold your partner close beneath one by the fire, and nearly impossible to get comfortable in one while camping in a less than cold climate. If you are over six feet tall like me, many bags don’t fit well leaving you little space to turn over or move around, and if you get too hot, you can’t just stick your legs or feet out to cool down. For all these reasons and many more, I now turn to my Rumpl high performance blankets. There’s a good chance that you just laughed so hard that you snorted when you saw “high performance” and “blanket” in the same sentence. I fully admit that the concept sounded a little ridiculous when I heard it too, but after using them in the field I can say they have earned this title. The standard “Puffy” is made from 20D rip-stop nylon fabric, similar to what is used in many high quality jackets. 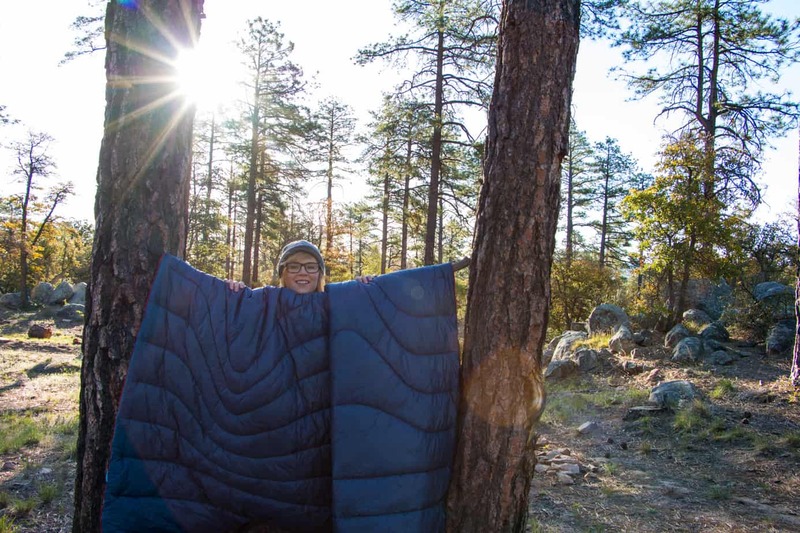 This helps keep the weight down while simultaneously giving the blanket a fighting chance of surviving everyday camp use. We accidentally put this to the test more than intended, and even snagged it on a branch of thorns which it escaped without damage. 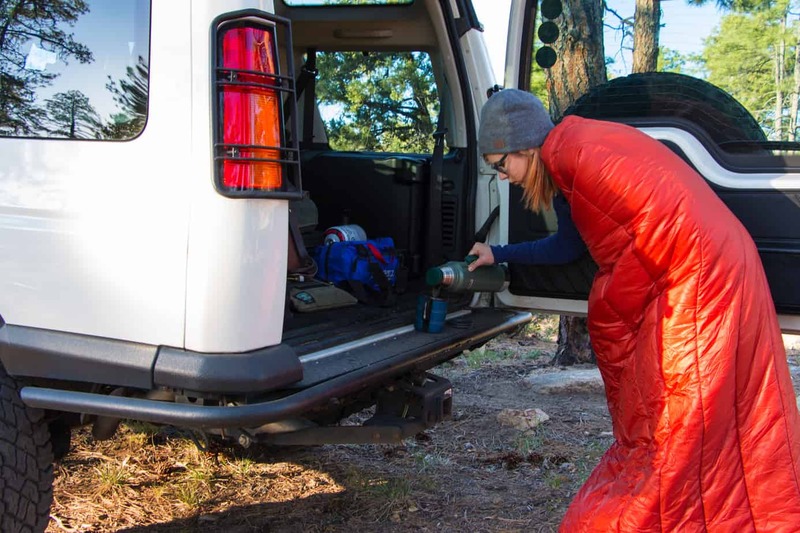 The nylon also carries the secondary benefit of being coated with DWR making it water, stain, and odor resistant; the perfect combination for the messes which often occur while camping. The resistant part is key though, and those with children or pets will know that nothing can escape their occasional wrath. 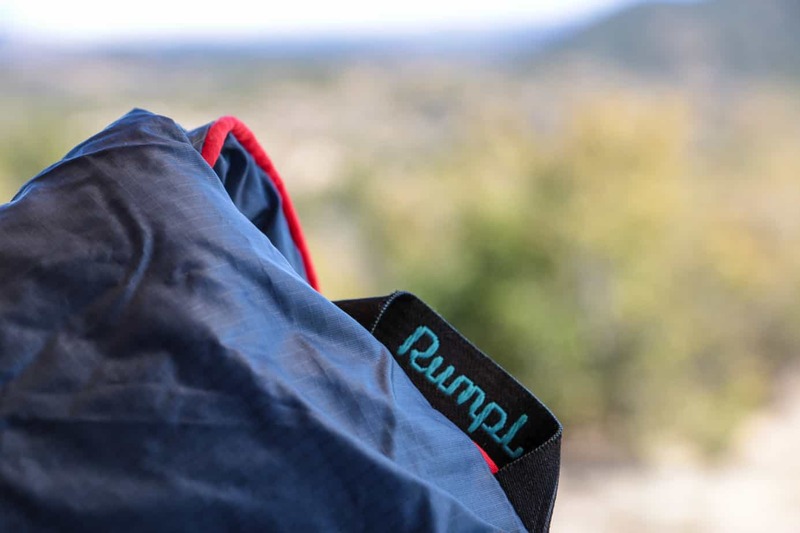 For these muddy or sticky situations, Rumpl was wise enough to make their blankets machine washable, making quick work of any destruction wrought by our beloved little monsters. The Puffy is available in five sizes ranging between the baby (30″x40″ & 0.7 lbs), and the King (102″x84″ & 6.2 lbs) to meet any requirements you might have. Colors include deepwater and iron as seen here, as well as seafoam, jam, and charcoal. Additionally, a black “trekking size” (54″x80″ & 1.12 lbs) dry down puffy is available which handily packs down to the size of a cantaloupe. So now to the important stuff, how did it perform and what the heck did we use it for? In general I was pleasantly surprised by the Puffy’s ability to reflect heat back towards its user. 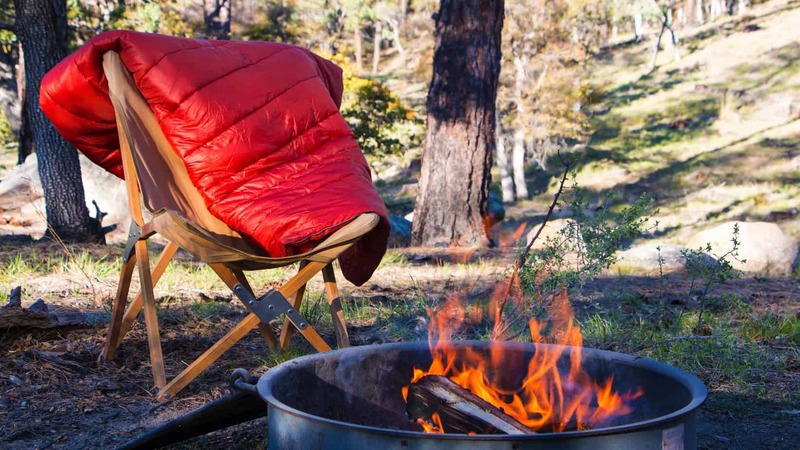 Despite its thin and lightweight nature, the technical materials made it an excellent insulator and I repeatedly found it to be warmer than my standard blankets. I even ditched the thick comforter I use in our roof tent, as the Rumpl not only folded away easier without causing the tent to bulge, but it kept us warmer on cool nights. Of course they are no replacement for a cold weather sleeping bag. I unfortunately learned this the hard way on a short trip in Northern Arizona. 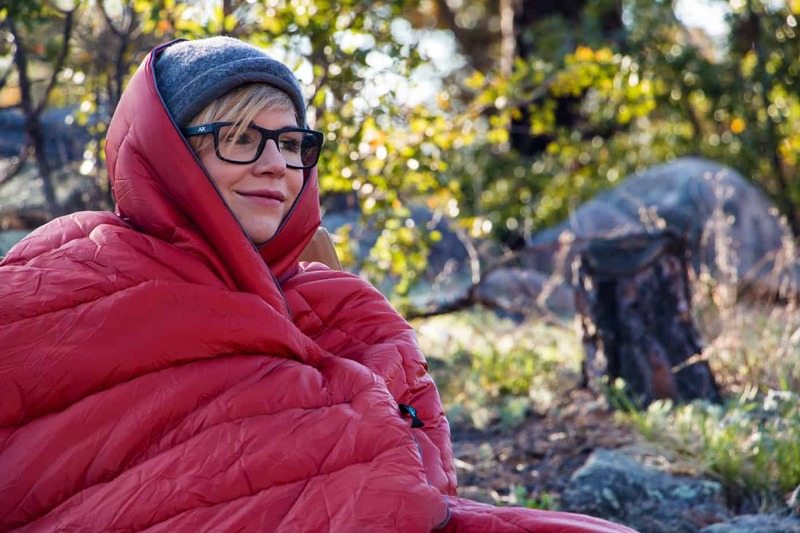 Feeling quite certain the temperatures would remain in the high forties, within the limits of the 45 º rating, I decided to ditch my back-up sleeping bag for the comfort of my Iron colored twin-sized Puffy. Much to my chagrin, the desert air plummeted to below freezing by midnight, leaving me to shiver in my misery. The blanket fortunately outperformed its rating and gave me an acceptable amount of warmth, but my sock-less feet were beyond its help and sucked away any chance of comfort. 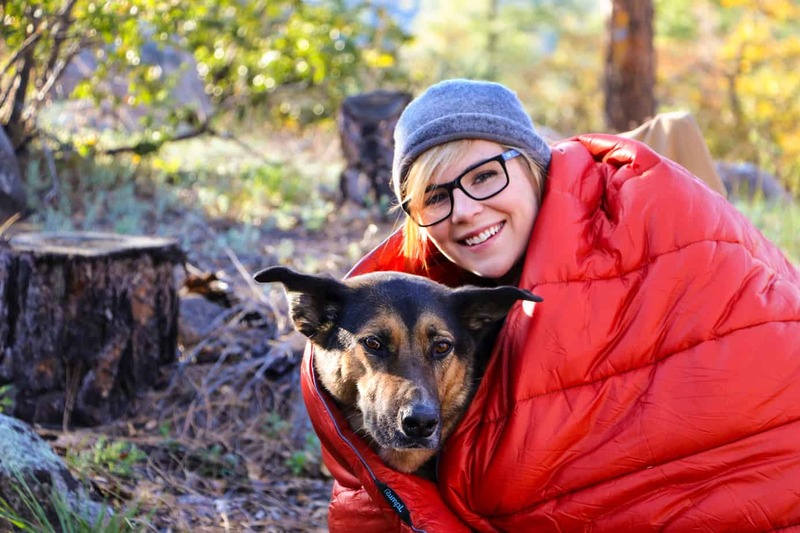 It should come as no surprise that the Puffy is a fairly versatile product, as blankets aren’t a new concept. 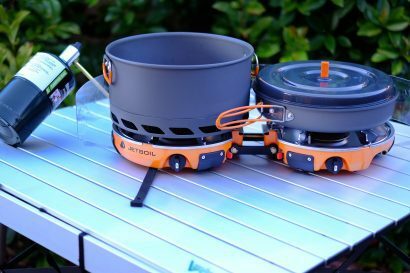 They are great for use around the fire, keeping warm while watching the sunrise, and bundling up while you brew some hot coffee in the morning. 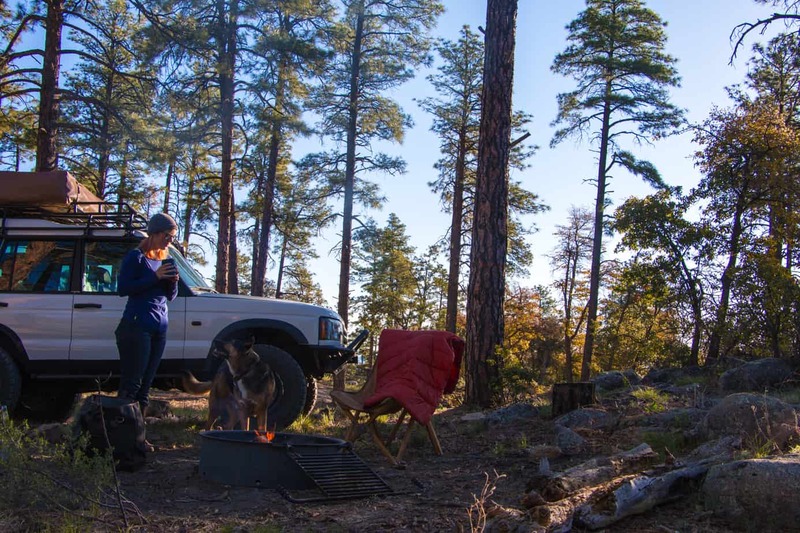 They complement roof-top tents perfectly, and have found a permanent home in our vehicles as emergency blankets. You can use them for picnics on soft grass, hang one up to block off a changing area, or double it up and use it as a cushion to lay on. Indoors they work just as well, and will undoubtedly be your first pick for popcorn and movie night with the family. The smaller compact varieties are even a perfect addition to a traveler’s luggage, as no delay at the airport or cold crappy hotel will ever catch you unprepared. In camp we quickly realized that unlike standard blankets, the Rumpls did not pick up leaves, grass, and sticks by just touching the ground. Their slippery materials made it difficult for anything to stick, and the debris it did pick up was quickly dislodged with a gentle shake. 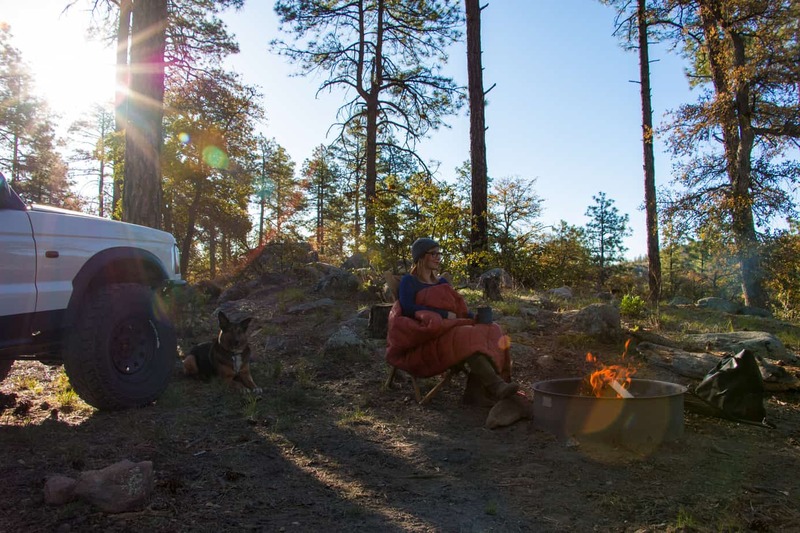 It seems like something minor, but not hauling dirt and twigs into your tent becomes a big deal when on the road for more than a few days. Despite their seemingly endless uses though, I would like to mention that they aren’t exactly active wear. I know it’s shocking, but given the photos of people biking, running, and even skateboarding with them online, I had to voice my genuine concern for their sanity. These blankets are fabulous for leisure activities of all kinds, but generally if what you are doing isn’t considered relaxing, you probably shouldn’t do it wrapped in a blanket. The only downside to our beloved camping blankets in comparison to their old-school brethren was the slippery nature of the nylon. Yes it was great for repelling the junk a normal blanket would pick up, but it clearly has the same effect on people making it difficult to keep on your shoulders when you weren’t holding it. It’s not the end of the world, but you will need to keep one hand on it if you plan to walk around camp. 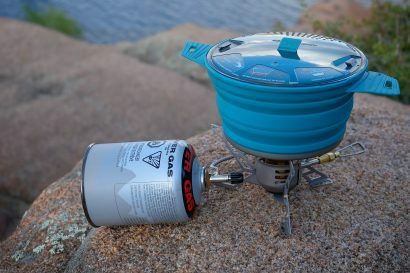 At the end of the day this is an excellent product for the avid outdoorsman. 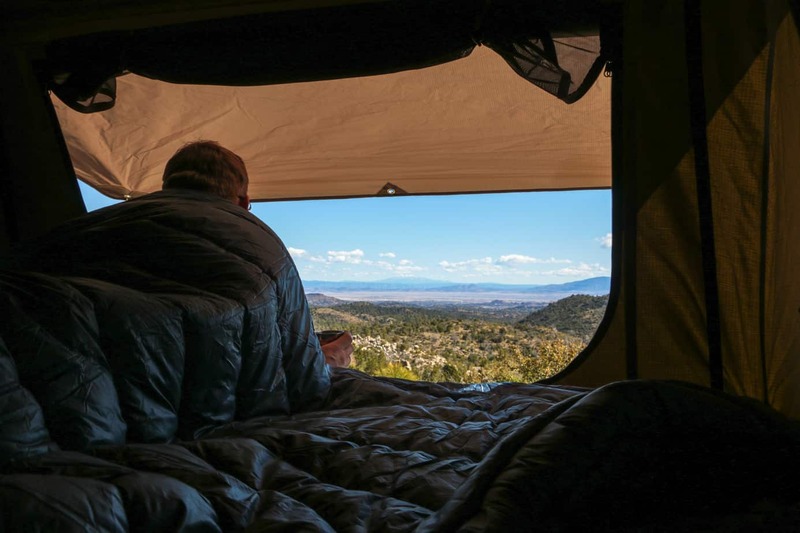 Unlike many of the things we buy, a Rumpl blanket can be used every day, regardless of if you’re at home, in the car, or at the camp site. It is a modern twist on a travel classic, and despite some initial doubts, I can now say that the execution was flawless. Of course this awesome piece of kit doesn’t come without a cost, and many people may find the price a little steep for their tastes. Although you can purchase the “baby” for $65, the price quickly increases to $99 for a throw, and $129 for the twin. If you want to step up to a queen or king to fit your roof tent, be prepared to throw down $199 or $229 respectively. It’s a lot of dough to be sure, but when compared to buying two sleeping bags, I feel the larger blankets earn their keep. The bottom line is this. 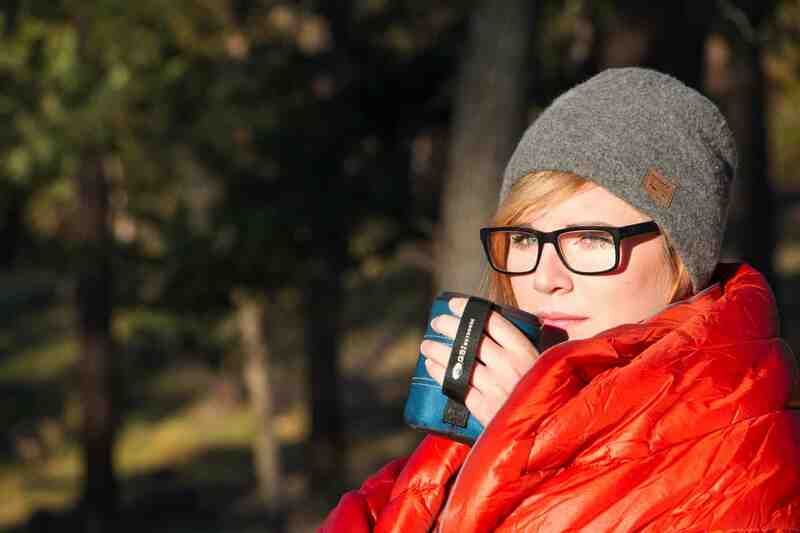 If you are a hardened camper looking for one product to keep you warm in any weather conditions, the Puffy probably isn’t for you. 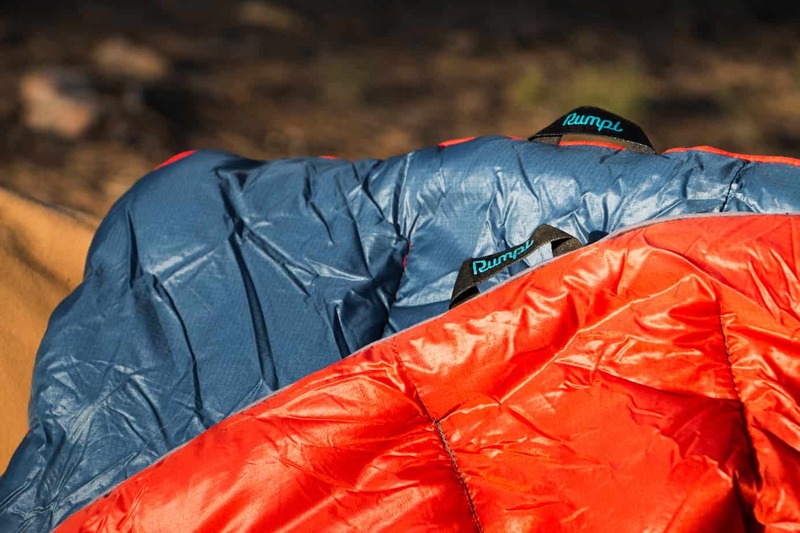 If however you want something unique and lightweight for your everyday camping trips, something that will take the chill off a cold night and be comfortable in a tent, the Rumpl blanket might just be perfect for your next adventure. For more information check out Rumpl’s website here.